DAC R-2R architectures display great performance in regards to noise and accuracy, but at a cost of large glitch area. 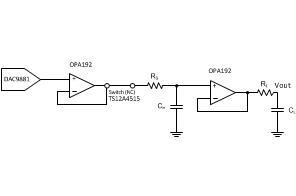 This design focuses on the reduction of major-carry glitches that occur from code specific transitions in DAC R-2R architectures. 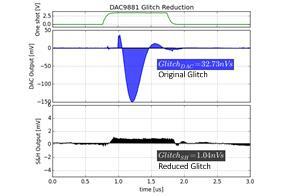 This design reduces this glitch area, making it suitable for glitch-sensitive applications such as waveform generation.